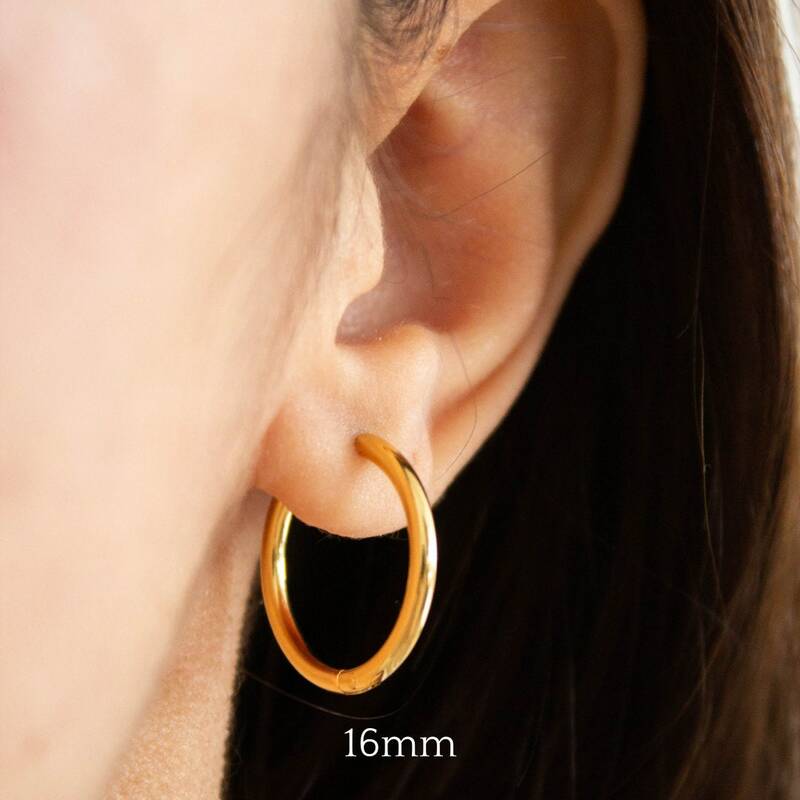 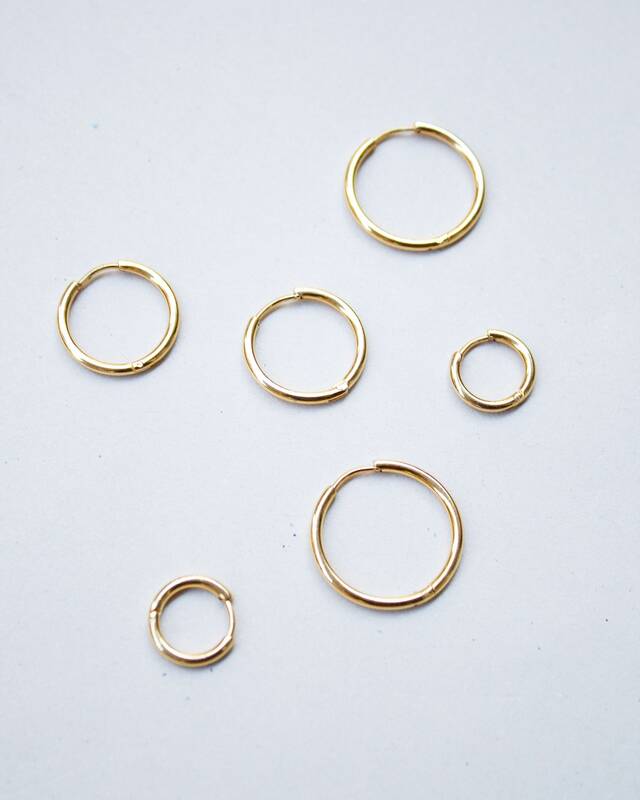 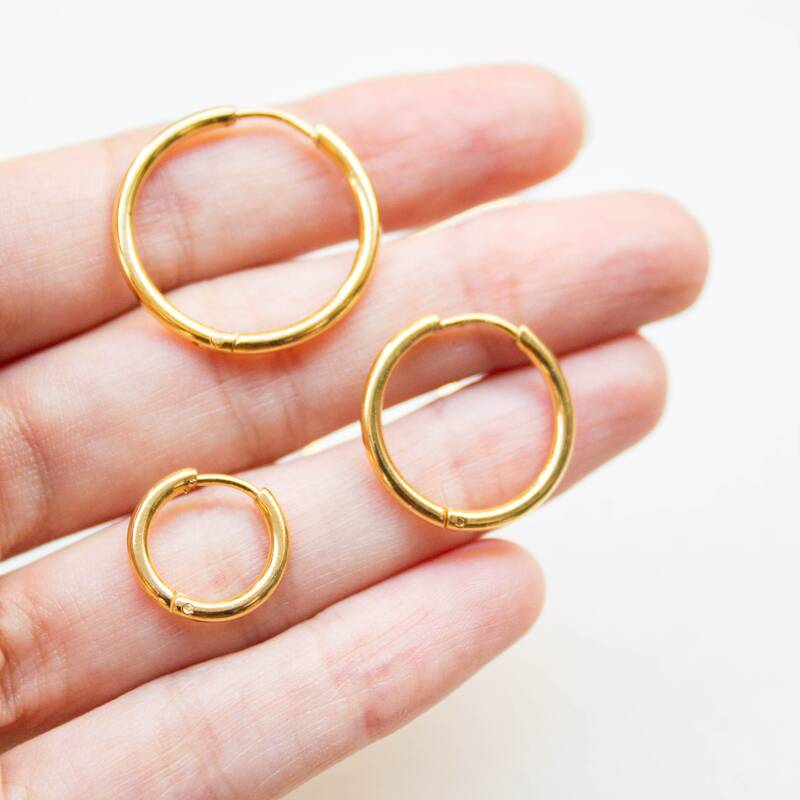 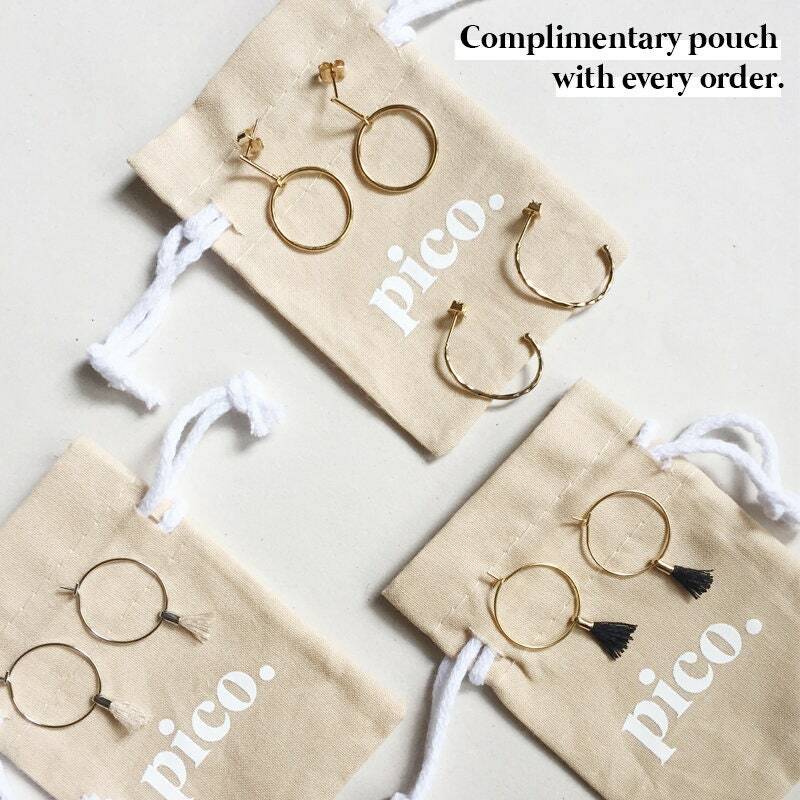 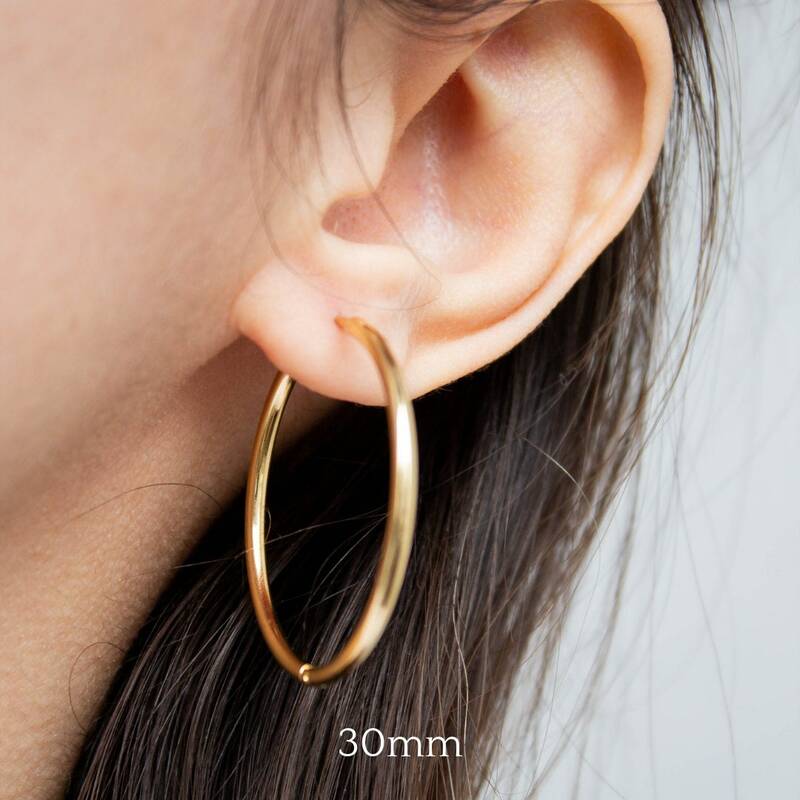 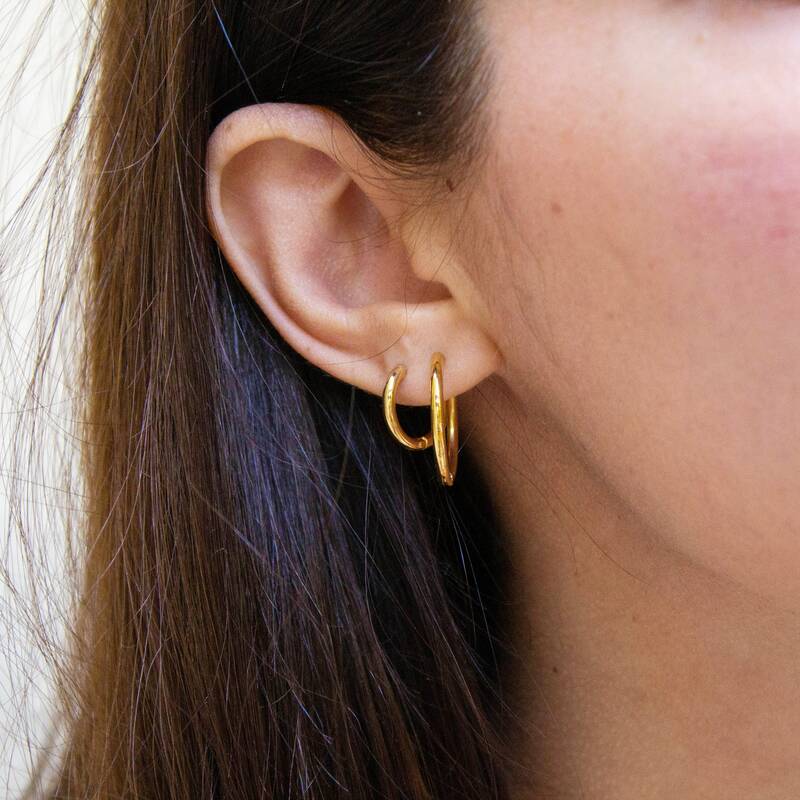 A simple hoop earring, perfect for everyday wear. 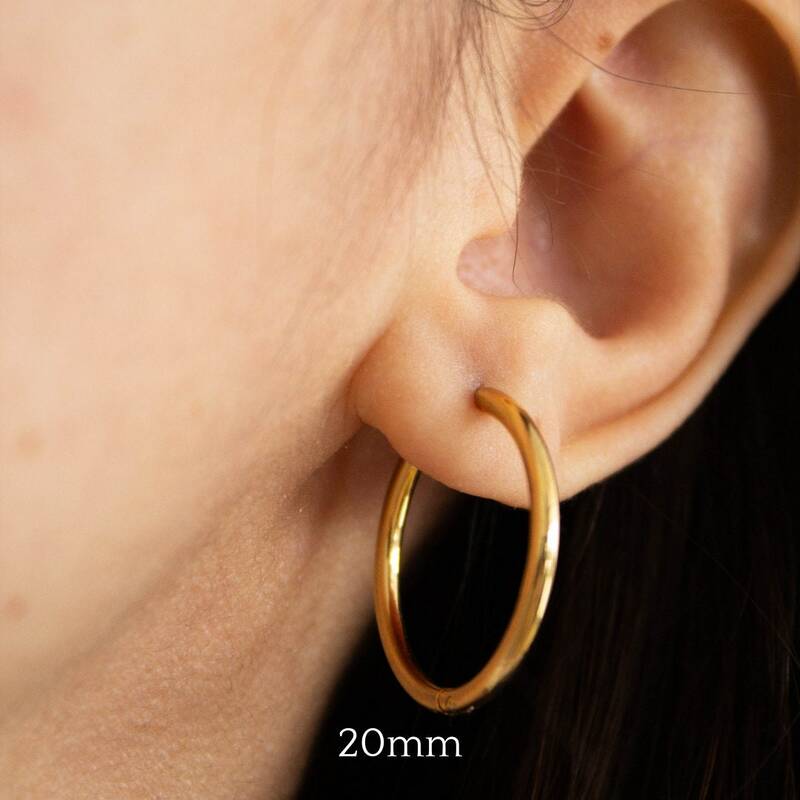 It comes in 5 different sizes, 8mm, 10mm, 16mm, 20mm & 30mm. 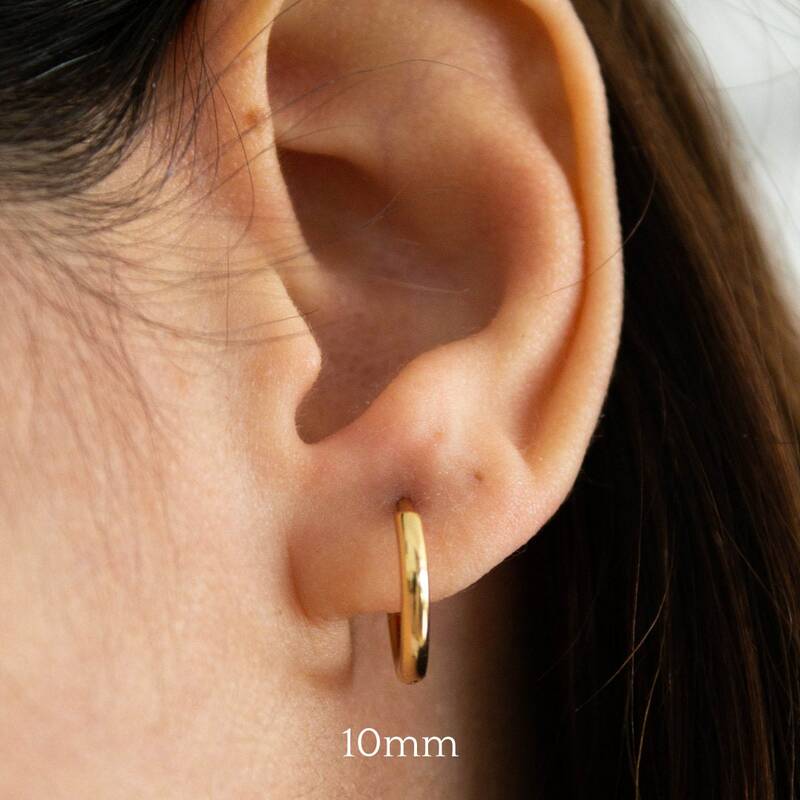 They are all 3mm thick, not too chunky, not to slim. 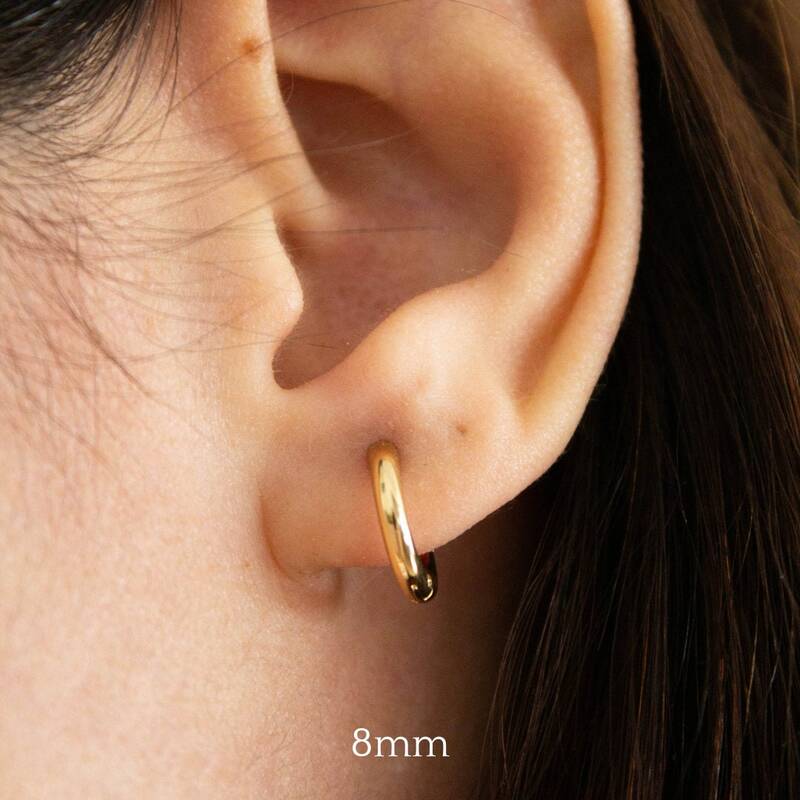 The fastening is a latch back (see pic) so you won't spend a lifetime trying to feed the metal through the hole. 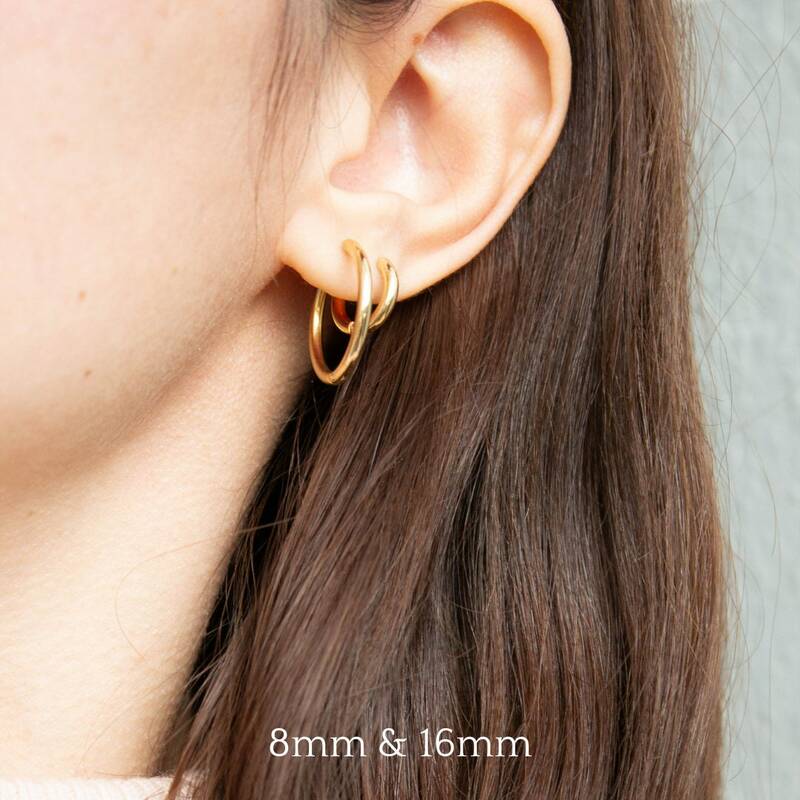 The hoops are 16ct gold plated over brass.